Until now, Panasonic has only sold its mobile devices in the Japanese market and we kept wondering as to when we will get to experience the devices in other markets. 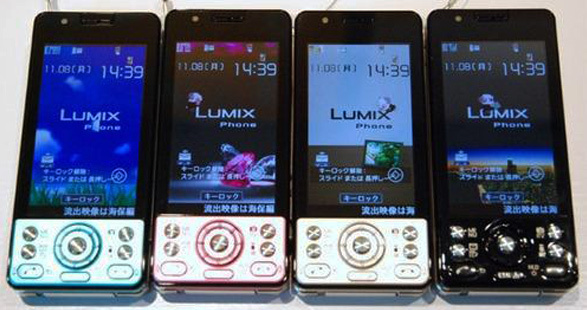 According to sources, Panasonic has finally decided to oblige the people in Europe as the company has decided to make its mobile phones available for users from spring 2012. Panasonic Mobile Communications Co plans to develop its smartphones on Google’s Android OS. The phones will be assembled either by an electronics manufacturing service or at a group factory in Southeast Asia. With this plan to enter the market again after its exit in 2005 from China and Europe, due to stiff competition and other factors, Panasonic aims to sell around 7.5 million phones outside Japan till 2015. With Europe it also seems that the company also has plans to enter the US and Asia to capture the users base. The company recently announced a comeback in the Indian market with its new extra long battery powered feature phones. Let’s hope the smartphone range is also delivered in India next year along with Europe.